Absolutely Immaculate single level Home with great curb appeal & front porch entry. 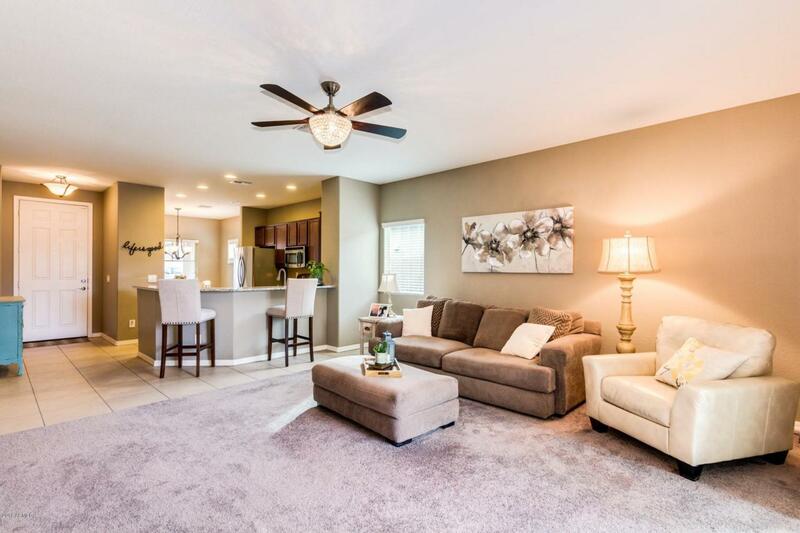 Spacious open floor plan, warm & welcoming neutral palette, ceiling fans, neutral tile floor, & plush carpet in all the right places. Granite kitchen counters, breakfast bar, SS appliances, & plenty of wood cabinets. Bright & cheery dining area with front yard views. 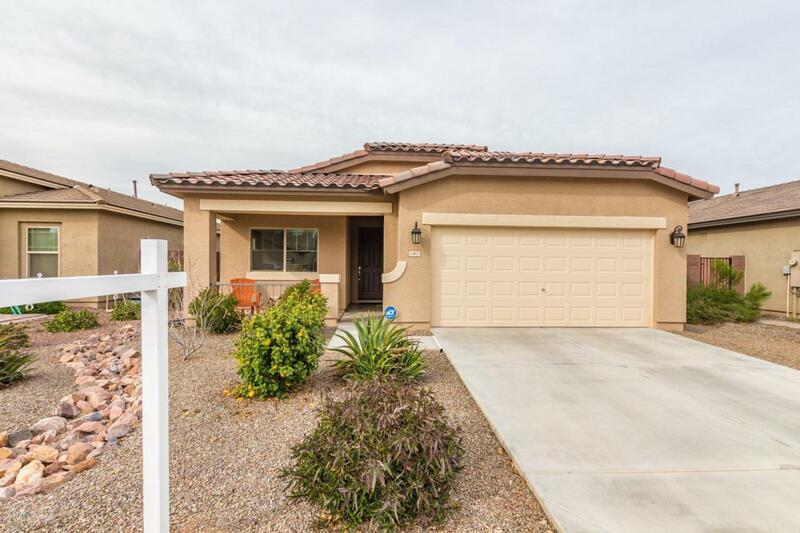 Generous size bedrooms, ample closets, window blinds and shutters in the kitchen & 2 baths. Master retreat boasts private en suite w/oversize walk-in shower. the backyard is surrounded by single story houses and offers a covered patio w/a large yard with decorative stone landscape. This blank canvas is ready for your future desert oasis. Community Clubhouse, Pool, & Park. Will not disappoint.